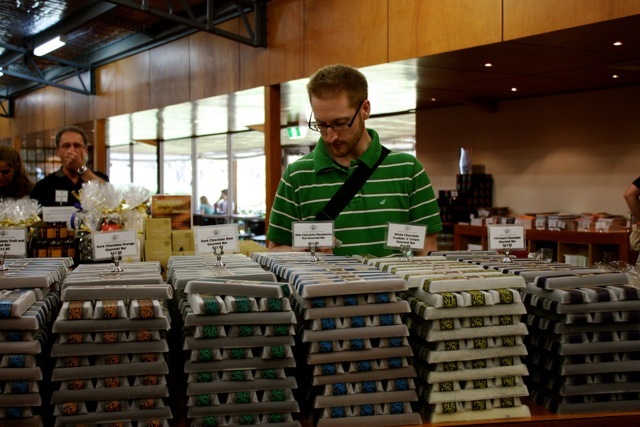 A smorgasbord of chocolate factories: Margaret River Chocolate Co. Some chocolate aficionados may recall my previous post in this series – A Smorgasbord of Chocolate Factories: Cadbury World, Dunedin. Or perhaps you were lucky enough to visit Cadbury World and experience first-hand that infamous one tonne, five storey chocolate waterfall? Either way, let’s continue our journey – on to Margaret River in Western Australia. 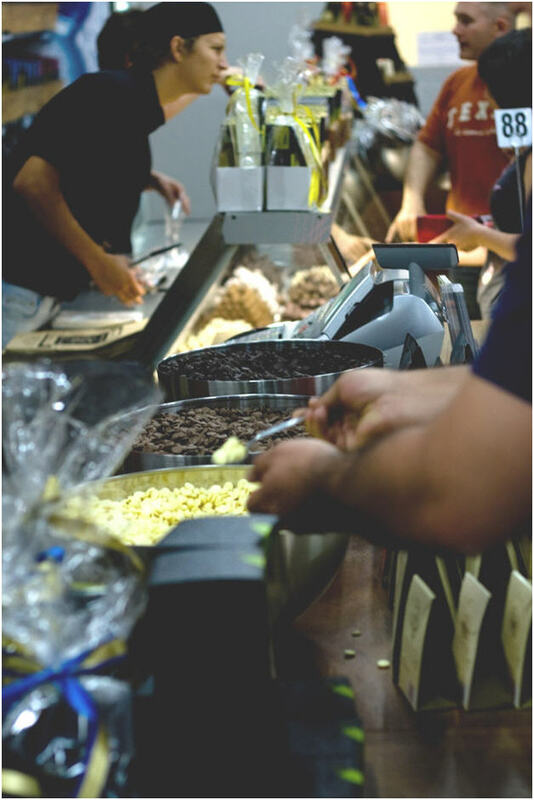 The nation’s home to the gourmet; from wineries, to vineyards, to cheese factories, and artisan markets … even, in fact, to chocolate factories. The best chocolate brownies in Australia! A bold assertion, but one Margaret River Chocolate Co proudly stands behind. I’ll leave it up to you to decide (after all, brownies can be quite polarising). If choc brownies aren’t really your thing, you may want to try the hot chocolate this winter instead – it’s the best in WA. Tip: go for the dark hot chocolate for a more rich, less overpowering sweet flavour. Other notable items on the menu include chocolate fondue, handmade truffles, and, well, chocolate everything. Once you are ready to tear your eyes away from such tasty morsels, wander over to the interactive displays and viewing windows into the factory, where you can see chocolate being crafted. Watching warm, gooey chocolate get turned into chocolate bars and other treats? Educational tourism at its finest. Look – Enjoy the depth of colour, the sheen and gloss of the chocolate. Dark chocolate has a deep, warm colour. The lighter the cocoa, the finer the flavour. Touch – Feel the smooth texture of the chocolate. Quality chocolate should begin to melt within one minute when held in your hand. Listen – Breaking fine chocolate gives a satisfying snap. The structure of milk and white chocolate gives a more muffled sound, while darker chocolate sounds like a breaking twig. Smell – Close your eyes and gently smell the chocolate. Good quality chocolate has a wonderful aroma with just a touch of natural vanilla. Taste – Place a small piece of chocolate on your tongue and allow it to melt of its own accord. Recognise the texture and complexity, noting the different waves of flavour emerging. Has this whet your appetite? Have you been to Margaret River Choc Co? What about other chocolate factories far and wide? Leave a reply in the comments below – I’m searching for the next choc factory to feature in the series! Stay at Wyndham Dunsborough – the Margaret River Chocolate Co factory is about a 35 min drive from there. The factory is open every day except for Christmas, however, they do not make chocolate on Sundays. Be sure to visit on one of the other days to view behind-the-scenes chocolate artistry at its finest. Can’t make it down to Margaret River? Don’t worry, Margaret River Chocolate Co has a second factory in Perth, and a separate chocolate shop in Perth’s CBD. The factory is about a 30 min drive from Wyndham Perth (The Outram), and the store is only 15 mins away.